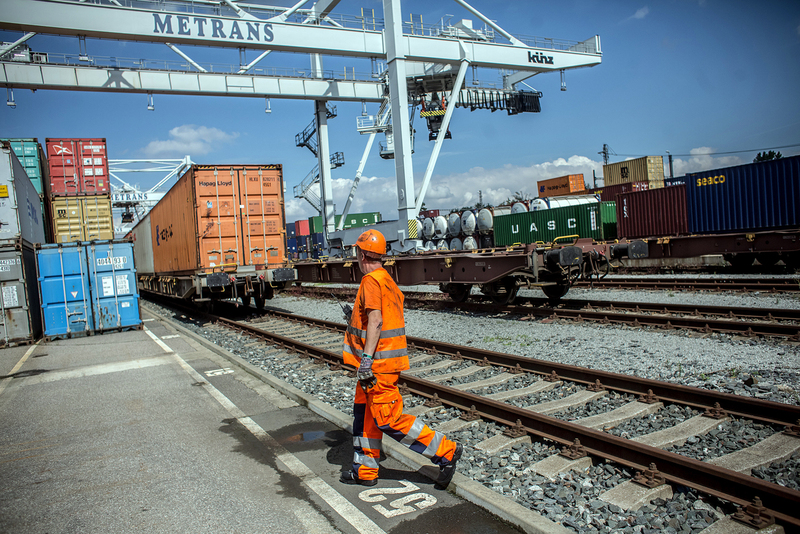 ITC is the ship, rail and road route which aims to increase transit and foreign trade freight flows within the Eurasian continent. In addition to the China-led New Silk Road, Eurasian players are boosting the development of the North-South International Transport Corridor which aims to connect South Asian countries with North and Western Europe. Remarkably, Russia is regarded as the backbone of the two projects. The latest trilateral summit of Azerbaijan, Iran and Russia in Baku has indicated the powers' intention to boost strategic cooperation and accelerate the development of the North-South International Transport Corridor project. "A huge flow of goods will soon cross the Russian Federation not only from the East to the West [via New Silk Road], but also from the South to the North. Moscow is opening the door for South Asian countries," Russian online media outlet PolitRussia.com reports, commenting on the matter. The North-South International Transport Corridor (ITC) is the ship, rail and road route which aims to increase transit and foreign trade freight flows within the Eurasian continent. The initiative to connect the Indian Ocean and Persian Gulf to the Caspian Sea and beyond to North and Western Europe via the Russian Federation was kicked off back in September 2000 in St. Petersburg by Russia, Iran and India. The agreement was ratified by the founding states in 2002. The new corridor, which is stretching for 7,200 kilometers (4,478 miles), offers a number of tangible benefits for the participants of the project. However, its major advantage compared to other transport routes, most notably the Suez Canal, is that it will reduce the transportation distance at least by half, thereby cutting the transit time and cost. The North-South ITC is regarded as the Suez Canal competitor, PolitRussia.com notes, adding that the Canal, which is connecting the European and the Asian economic zones, fails to meet the increasing needs of the growing cargo flow. According to some estimates, currently about 10 percent of the world seaborne trade passes through the Suez Canal. However, with the sanctions on Iran lifted this figure may increase dramatically, threatening to turn the Canal into a "bottleneck" for global trade. In light of this the new North-South corridor could bear the Canal's growing burden. Remarkably, a 3,000 km (1,864 ml) part of the North-South ITC passes through the territory of Russia. The land section of the corridor runs along Russia's railways from the Finnish border to the Caspian Sea. As of yet, the corridor still lacks about 172 km of railroad track between Azerbaijan and Iran. However, Azerbaijani President Ilham Aliyev asserted his counterparts during the meeting in Baku that the section will be soon completed, according to RIA Novosti. Nevertheless, in 2015 the volume of foreign trade cargo transported through the North-South ITC amounted to 7.3 million tones, marking a 4 percent increase in comparison with 2014. "The North-South Corridor project laid a basis for cooperation between regional countries to achieve the goal of regional development. This transportation route links India to Europe via a safer and shorter path and a very important one for Iran, Azerbaijan and Russia," Jahangir Karami, Associate Professor of International Relations at the University of Tehran, told Valdaiclub.com. It should be noted, that besides Russia, Iran, India and Azerbaijan the North-South Corridor project is expected to include Armenia, Belarus, Ukraine, Greece, Bulgaria, Georgia, Kyrgyzstan, Tajikistan, Kazakhstan, Pakistan, Iraq, Oman, Syria and Turkey. PolitRussia.com notes that given Turkey's close relations with Azerbaijan the new route is likely to benefit Ankara a lot. On the other hand, it would bolster the Russo-Turkish rapprochement. The media outlet calls attention to the fact that a 2015 "adventurous anti-Russian" project which envisioned the creation of the route from China to Turkey bypassing Russia appears to be less attractive in the eyes of Ankara than the North-South ITC. Meanwhile, the security of the Caucasus and the Middle Eastern region has acquired a new meaning in the context of the new transport corridor implementation. Thus far, the establishment of the permanent Russian airbase in Syria will play an important role not only for Moscow's military and humanitarian missions in the region but will also serve as a key for sustainable economic growth of the Middle East. Along with the New Silk Road (One Belt, One Road) initiative, the North-South International Transport Corridor will boost the integration of the Eurasian space, ensuring the rapid economic growth of Eurasia's regional players as well as stability and security on the continent.